Medical errors occur at an alarming rate. Patients often suffer permanent injuries or death from those errors. If the injury or death occurs because the doctor was negligent, the law holds them responsible for the harms and losses that result from their negligence. Doctors are required to practice in accordance with the standard of care set forth by their profession. When they don’t and a patient is harmed, the doctor is responsible for their negligence. The standard of care comes from a number of sources, including generally accepted practices in a doctor’s specialty, medical texts and journals, regulations, hospital policies and procedures, guidelines developed by medical boards, research data and so on. So what do you do if you suspect that you or a family member has been a victim of medical malpractice? The first thing to do is hire an experienced medical malpractice attorney. Malpractice cases are complex and demanding, so make sure your attorney has been handling this type of case for a while and has succeeded in recovering damages for many clients over a long period of time. An experienced attorney will be able to enlist the right kind of experts to evaluate your case and your injuries so that the best case is presented to the jury. They will also be able to understand the medicine involved and gather materials that will help to prove that your doctor did not meet the standard of care required by their profession. In Missouri, the attorneys at the St. Joseph law firm of Murphy, Taylor, Siemens & Elliott P.C., have the years of experience and a strong track record success in medical malpractice cases that will ensure that your case is being handled with the high level of competence. Your lawyer will need to have highly respected medical specialists available to assist with the analysis of the circumstances that led to the injury or death. Doctors must be brought in to testify as expert witnesses to explain to the jury the expected standard of care and where a deviation occurred and how that deviation caused or contributed to cause the injury or death. Diagnostic errors alone are estimated to cause between 80,000 and 160,000 deaths in the United States every year, according to a recent report from Johns Hopkins published in BMJ Quality and Safety, especially failure to diagnose to cancer, heart attacks, and meningitis. When you need a highly experienced attorney to examine your suspected medical malpractice case, contact the St. Joseph, Mo., medical malpractice lawyers at Murphy, Taylor, Siemens & Elliott P.C. With 100 years of combined legal experience, a long and impressive track record and a sterling reputation in the legal community, you can be assured of the skilled and aggressive representation that can provide results. 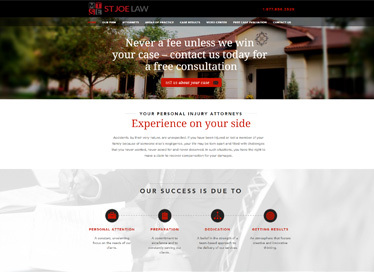 We offer a free consultation and you don’t owe us anything unless we recover money for you.